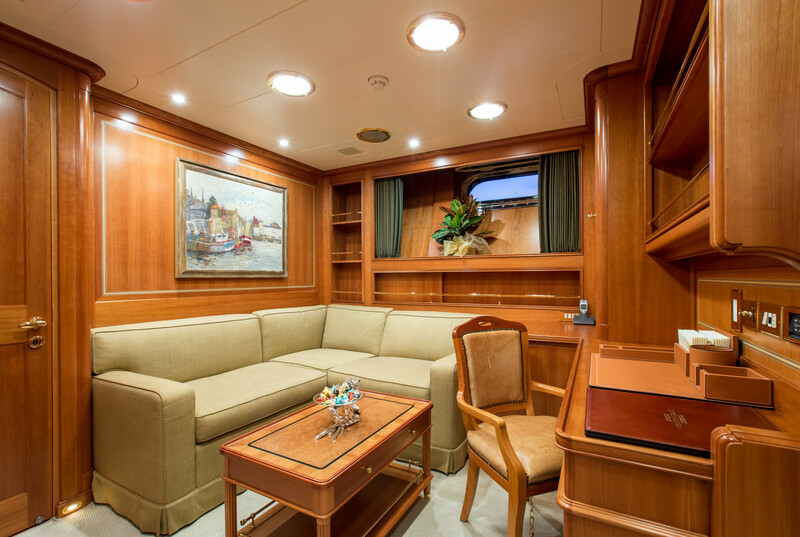 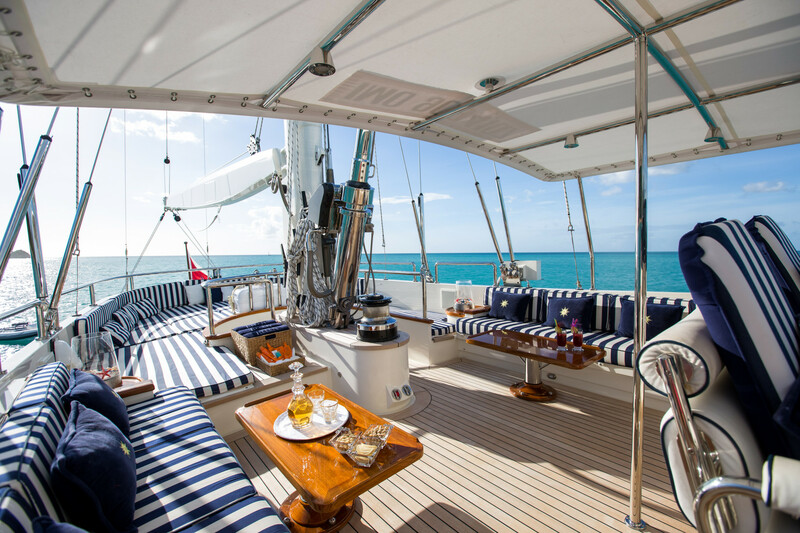 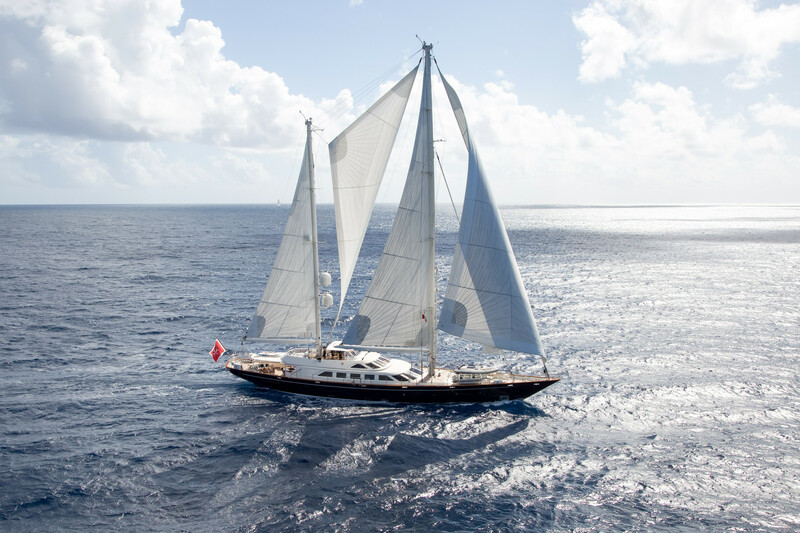 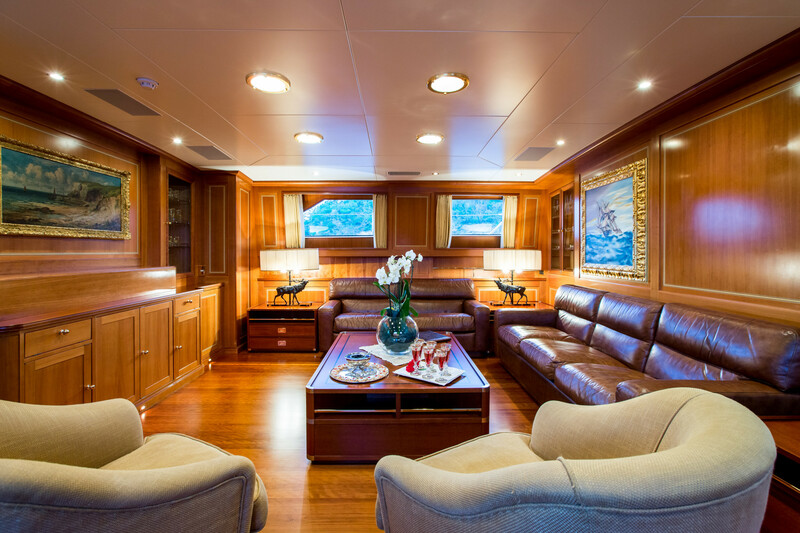 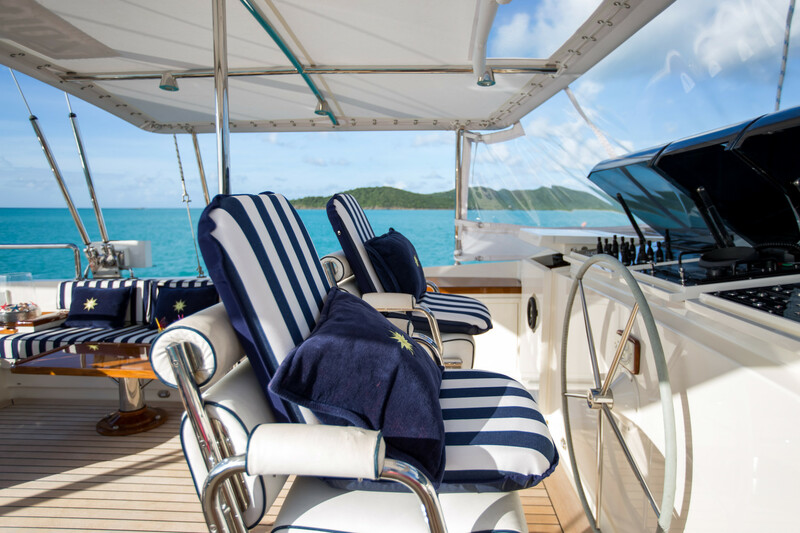 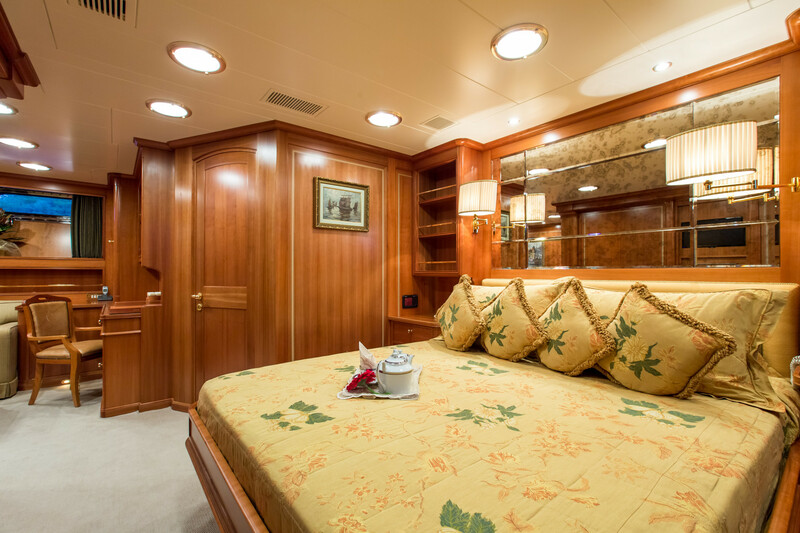 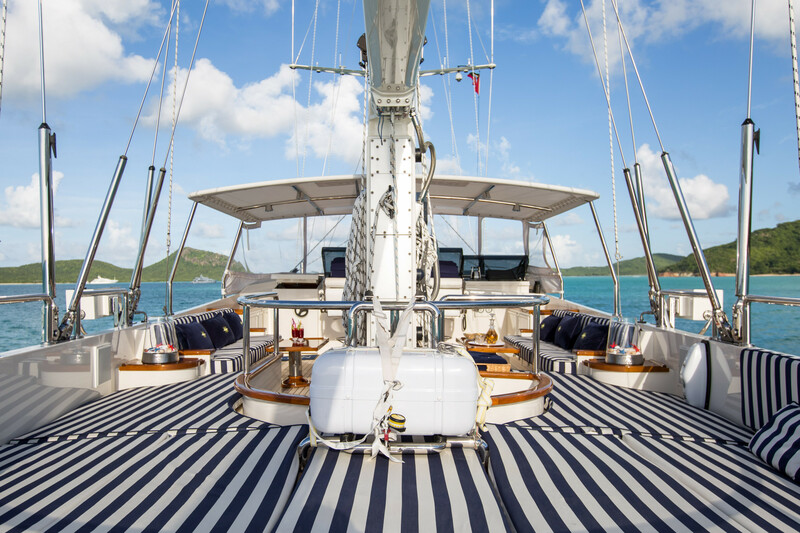 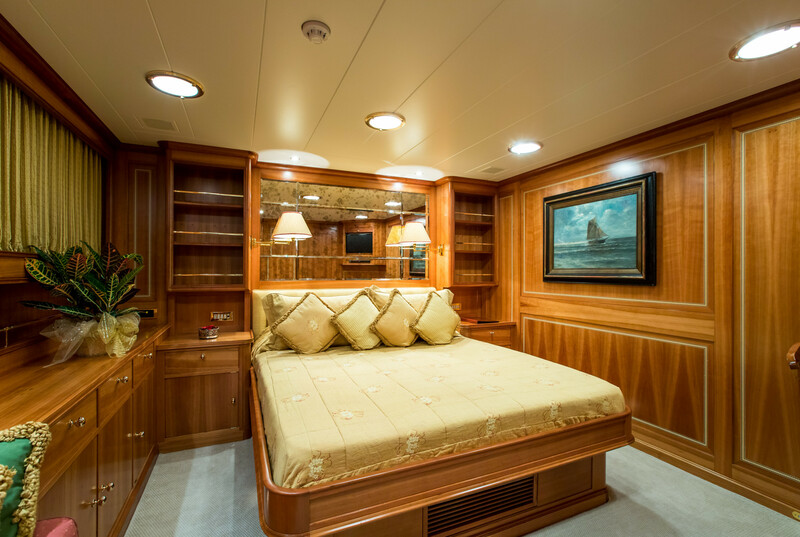 ELLEN V can accommodate 8 guests in 4 cabins including a full Beam Master stateroom with King bed and sitting room, ensuite head with tub and shower. 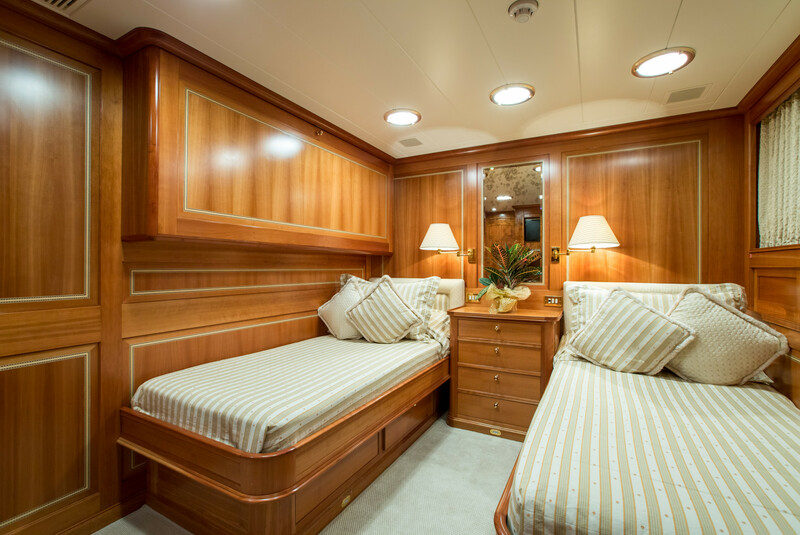 A VIP guest suite with queen bed and ensuite plus a twin bedded guest suite all located aft. 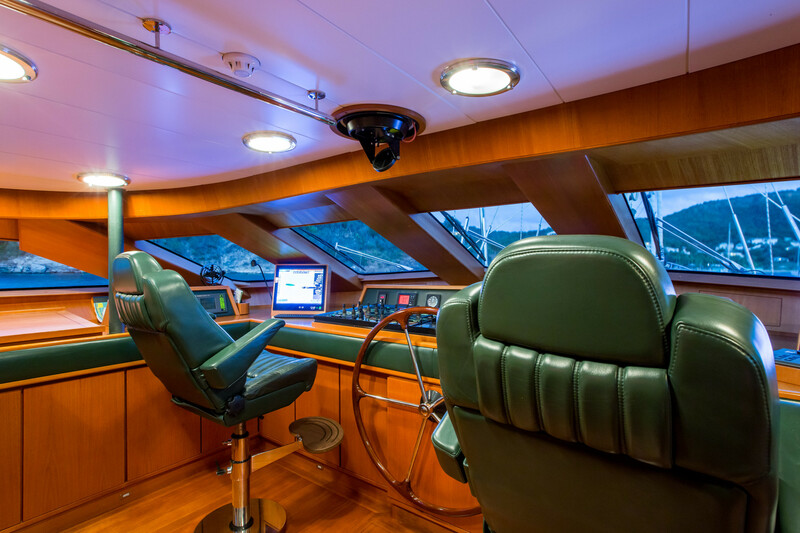 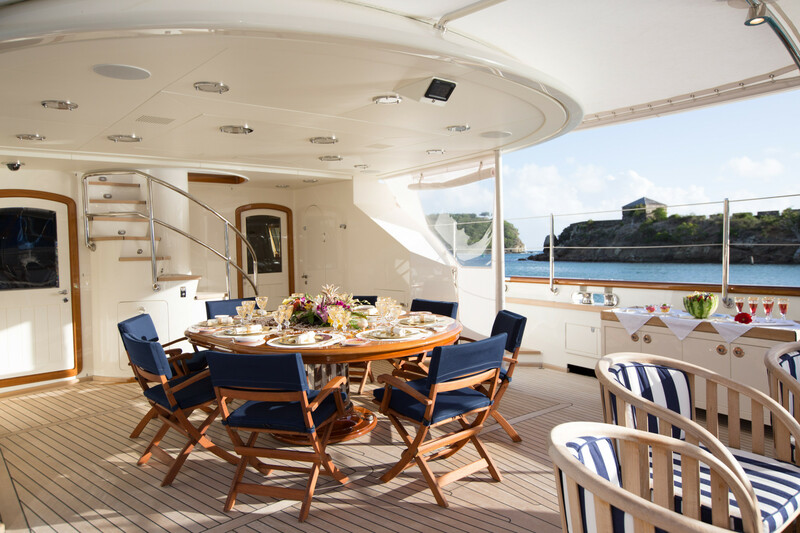 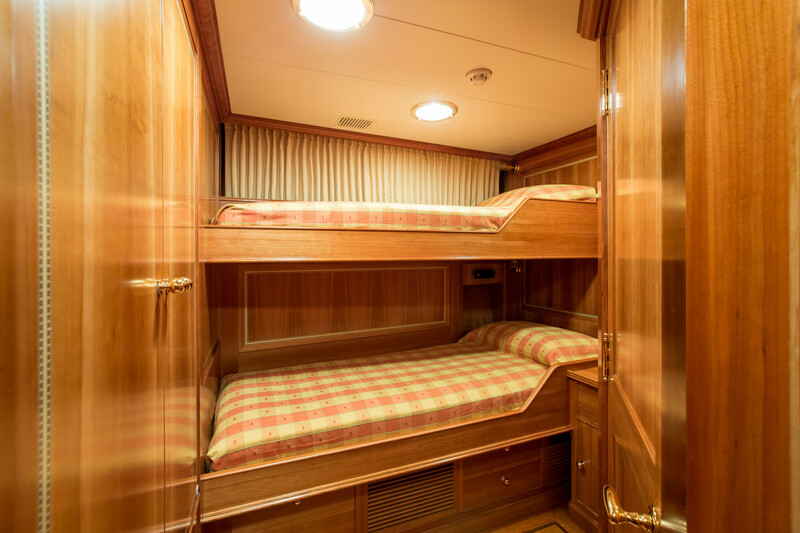 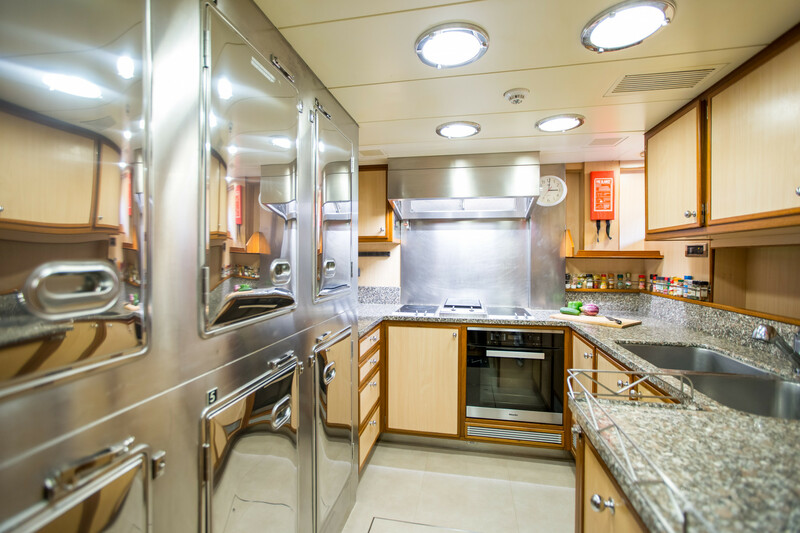 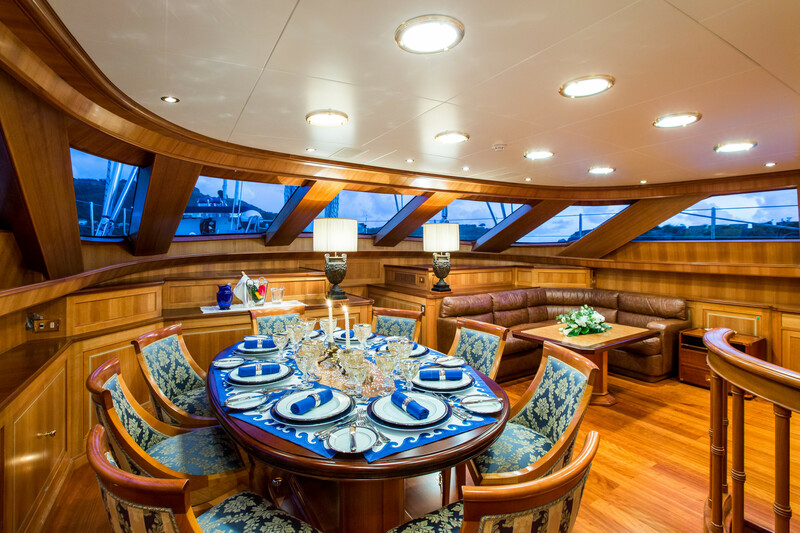 Forward of the dining salon is a 4th cabin with upper and lower berths with ensuite head and shower. 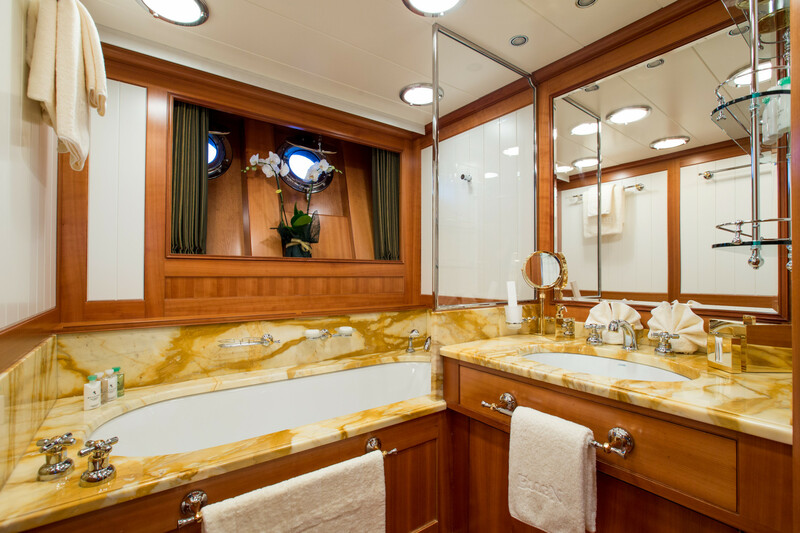 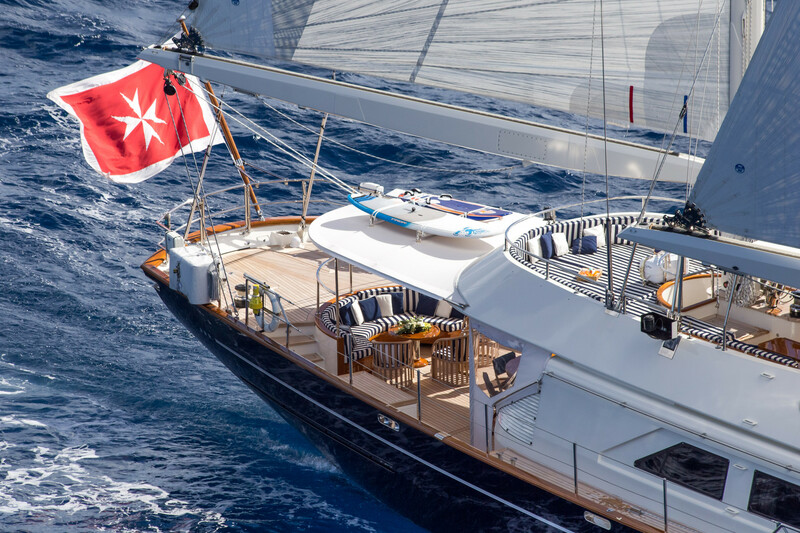 2013 - 2015: Underwent a 4 million Euro refit.